Its main important thing when you buy a domain, at least you will have it one year for your blog before it will expired next year after its activated. So, its unable to change the domain except yo buy a new one. So, just becareful and make sure that you think your domain name wont change your mind to modify it. 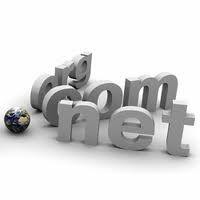 Your new domain will affect your traffic from Google and also its pagerank. And it will lower your blog popularity in blog directory websites like Alexa and Technoratti. Its not big deal if your blog is intended as personal blog. This may apply towards to monetization blogs only because if a domain name is changed, then you need to submit your blog again into web blog directory services which are improve your blog visits. Think if you want sell a product, then your domain will be a new brand. Your blog is your product (if you provide original contents), so if you write about traveling only, then give it something related with travel name and so on. A note you must take, if your blog contains many stuff about yourself, just give it something that describes you, just like this blog. 4. Your consistency in updating blog posts. Purchasing a new blog domain can trigger your enthusiasm in writing and updating your blog contents, so just consider if you are really serios in managing your blog, if you want to leave it just the way it is (I mean, you don’t update it and just posting some basic things), that’s ok, but the first option is favourable. If you follow the favourable one above, you can gain more income as long as you know how to make your blog a business that produces money for you. This actually is something related about selling, make a blog about selling stuffs, services, and etcetera.